Hey guys, Iris here from Polish Amor, today I will be showing you how to create a very simple colorful manicure. This technique simply uses sponges, any kind that you might have in the house. The possibilities are endless as you can use any color combination you like from a subtle to a bold look. 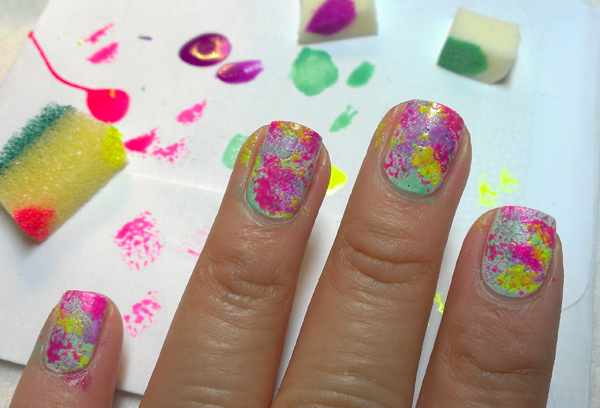 For my manicure, I choose neon colors, which are a fun way to add a pop of color! 1. Three or more nail colors. 2. Makeup sponge and kitchen sponge (or any that you might have as long as they have different texture). Cut them in small pieces easy enough to handle. You will only use a couple of pieces, so save the rest for future nail art. 3. Base and top coats. 4. Nail polish remover and a cotton swab or small makeup brush for clean up ( I used a small elf Concealer Brush, which only cost $1). Start with clean nails, apply your favorite base coat then add your base color. For my manicure I used white, simply because I want the neon colors to pop. 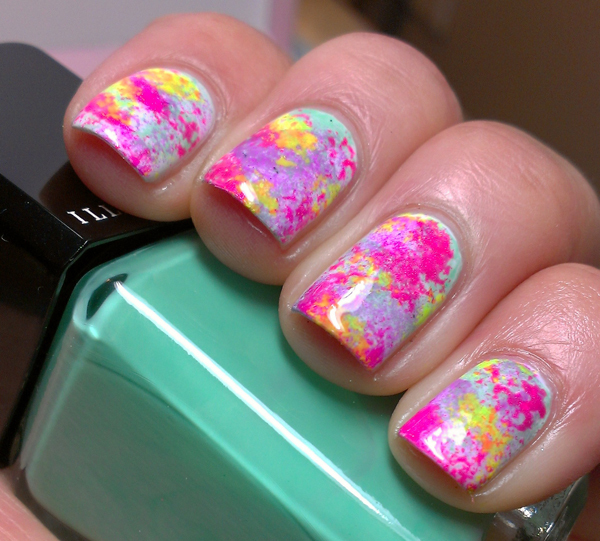 Let the base color dry for a few minutes or use a quick dry top coat if you are in a rush. Place a couple of drops of polish on a piece of paper then dip your sponge into the color, or you can apply the polish directly to the sponge with the polish brush. 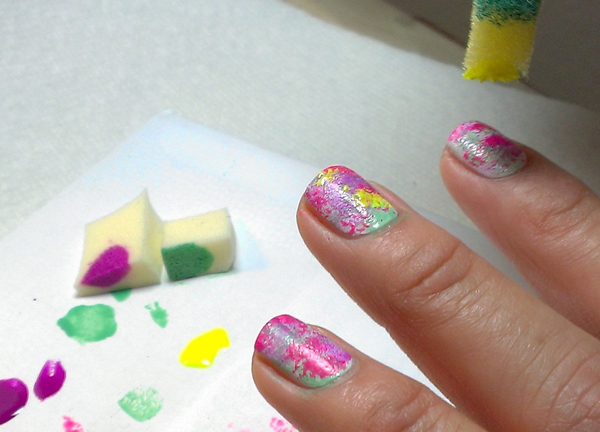 Now dab the sponge on your nail, and you can go in any color order you like. I started with the makeup sponge which has a finer finish, then I did the kitchen sponge which has more of a coarse finish for more dimension. 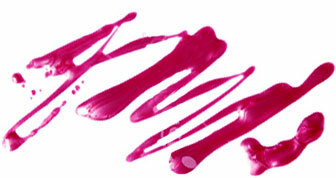 Clean up, with the Q-tip or makeup brush and polish remover clean all the excess polish around your cuticles. Add your favorite top coat and you are done! Hope you guys enjoyed this tutorial and have fun creating your own look!